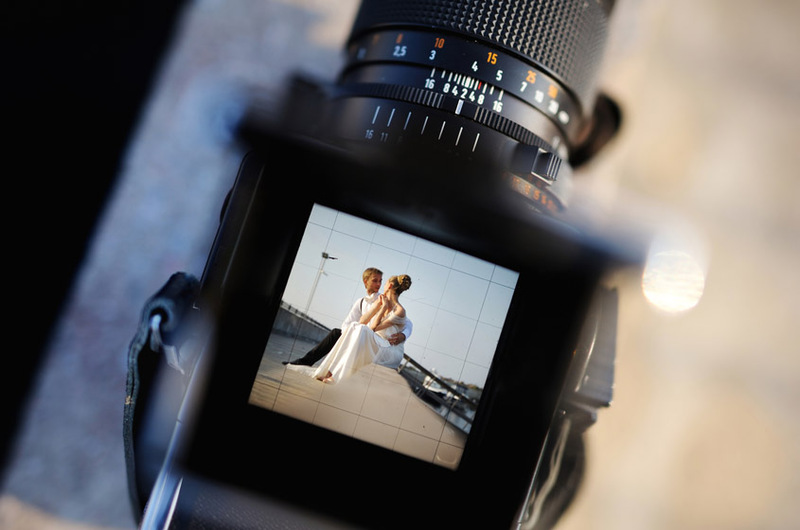 ensure you get the best wedding photos possible out of the experience. First and foremost, ask the photographer for their portfolio. The portfolio should include previous wedding photos and should represent the entire breadth of styles the photographer is familiar with. Even today, despite the digital age surrounding us, many photographers who are truly artists still bring real printed "portfolios" with them. Other photographers will just send you to their website. Those are probably not artists of their craft. When reviewing portfolios, keep in mind that the pictures the photographer shows to you are probably his or her best work (that's why they are in the portfolio). So if you are not absolutely and immediately impressed and overwhelmed by them, chances are you won't love your wedding photos either. Keep looking. 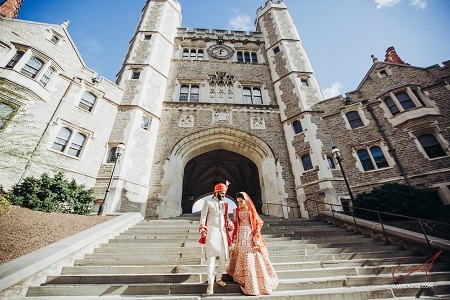 Describe your ceremony or reception site to the photographer and ask them what kind of wedding photos they will be able to make in that setting and in that vicinity. A great photographer will be able to describe the photographs such that you could almost "see" the shots before they are even made. For instance, if your ceremony is taking place outdoors and has an ocean view, a great photographer will be able to describe to you the complete picture of how he will position you in the picture (how the two of you will be standing, holding each other, etc.) and what the background will look like (sun, ocean, trees, etc.) 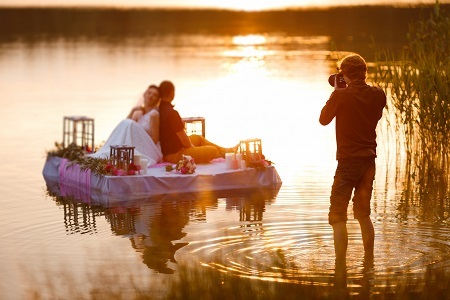 You should fall in love with your wedding photos even before they are made. 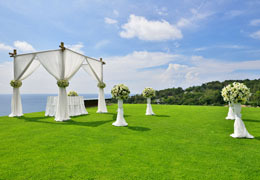 WeddingVenture.com advice: ask if the photographer has any photos that they've done before that would look like that. Another important thing to ask is which "photo session" locations to scout in the area beforehand. That is, right after the ceremony and before the reception (during the "cocktail" hour), it's typical for the couple to "disappear" and do a quick photo session somewhere nearby where the photographer will take pictures of just the two of them (or perhaps the two of them, close family members and the bridal party). The photographer you are hiring may not know the exact location very well, but he or she can tell you what kind of locations will make for the best compositions and best pictures. For instance, the photographer may suggest looking for a big brick wall (these work well for group pictures), for an old dirty building (provides great the contrast between the old wall and your new crisp white wedding dress), etc. In short, the more experienced the photographer is, the more location suggestions he can give you and the better prepared you will be. Hey, some couples here at WeddingVenture.com paid for private access to small farms, private waterfronts or even historic buildings just for a couple of hours - just to be able to do a wedding photos shooting there.